Babies don�t have rules, of course. 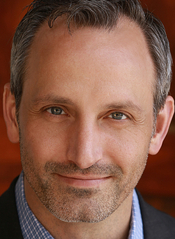 That�s why they make such great subjects for online videos. As long as you keep the hand tools and the vodka out of their reach, it�s a lot of fun to watch a bouncing bundle of pure id. Bigger challenges come when they get a little older, and it becomes time to start teaching our children the very abstract concepts of right and wrong. Those were concepts that I was struggling with myself. Not as a mostly-functional adult (quick, hide the hand tools), but as a writer. I had just begun to write seriously, working on the book that would evolve into PAST CRIMES. The protagonist is Van Shaw, a man raised by a career criminal, in the kind of environment where breaking the law is literally all in a day�s work. So during the day I might need to explain to my daughter why we can�t just grab the stuffed hippo and leave the store, while at night I was writing about Van, who would not have been taught the same rule. Van would have learned how to case the place, so that he and his grandfather could break into its combination safe later that night to remove a whole lot of stuffed hippos, if you catch my drift. Not that Van still believed that was the right way to behave. Since breaking from the criminal life and enlisting in the Army, Van had become a decorated war veteran. And that added an extra challenge in the writing: explaining what Van�s convictions had been in his youth, and showing how he�d fought to change those as an adult. Whenever we taught our child a new rule, we could see her wrestle with the idea. Sometimes she accepted what she was told. Sometimes she negotiated the fine points (which I see friends� children doing too; are all children naturally lawyers?) Once in a while she would break a rule, just to see what would happen. In watching our daughter grapple with right and wrong, I occasionally wondered what was going on in her mind. Was she angry at the sudden restrictions? Confused about whether the rule applied to everyone, or just her? And that led me to my favorite part of writing Past Crimes: popping in on Van�s life when he was a child and young adult, in interstitial chapters throughout the main plotline. The book is written in first person, and I quickly found it both fun and challenging to write as a nine-year-old. Or at fourteen, or seventeen. To think like a kid for a while, without having to endure those years again. I wanted challenge, not abuse. I believe we�re giving our daughter better principles than Van was taught. But if not, I have faith that she�ll learn on her own when to put the hippo back where it belongs. You can find Glen at glenerikhamilton.com, on Twitter @GlenErikH, and on Facebook. From the time he was six years old, Van Shaw was raised by his Irish immigrant grandfather Donovan to be a thief�to boost cars, beat security alarms, crack safes, and burglarize businesses. But at eighteen, Dono's namesake and prot�g� suddenly broke all ties to that life and the people in it. Van escaped into the military, serving as an elite Army Ranger in Iraq and Afghanistan. Now, after ten years of silence, Dono has asked his grandson to come home to Seattle. "Tar abhaile, m�s f�idir leat"�Come home, if you can. Taking some well-earned leave, Van heads to the Pacific Northwest, curious and a little unnerved by his grandfather's request. But when he arrives at Dono's house in the early hours of the morning, Van discovers the old thief bleeding out on the floor from a gunshot to the head. The last time the two men had seen each other Dono had also been lying on the floor�with Van pointing a gun at his heart. With a lifetime of tough history between him and the old man, the battle-tested Ranger knows the cops will link him to the crime. To clear his name and avenge his grandfather, Van must track down the shooter. Odds are strong that Dono knew the person. Was it a greedy accomplice? A disgruntled rival? Diving back into the illicit world he'd sworn to leave behind, Van reconnects with the ruthless felons who knew Dono best. Armed with his military and criminal skills, he follows a dangerous trail of clues that leads him deeper into Dono's life�and closer to uncovering what drove his grandfather to reach out after years of silence. As he plummets back into this violent, high-stakes world where right and wrong aren't defined by the law, Van finds that the past is all too present . . . and that the secrets held by those closest to him are the deadliest of all. Loved learning about your writing process and the challenges Van faced. I can't wait to "meet" Van and his story. 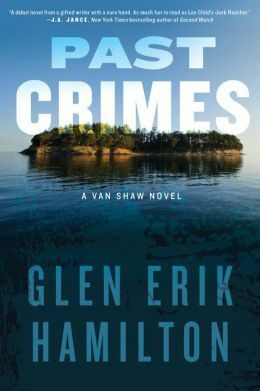 Congratulations on the publication of Past Crimes! Van sounds like a very interesting character. Thanks for sharing. it's going to do well!! down. Keep these fantastic reads coming please. Maybe I shouldn't say this, but, as a rule, I prefer books written by women authors. I guess it's the outlook given, but I'm changing my mind. Past Crimes sounds like a fascinating read and I think I would enjoy it. Your book sounds real exciting , I hope to be reading it very soon. I love the ' who did it ' books , and always hate to put them down , like to read from beginning to end , but never have that much time . Congrats on your book and Best of Luck to you . Sounds like a very interesting and captivating read.